The AMI CACE EDI re-invents the conductivity measurement with an attractive blend of reproducibility and performance, lowering resin consumption and significantly minimizing time and costs spent on maintenance. Without frequent resin changes required on typical Cation Conductivity instruments, the AMI CACE EDI delivers gap free trend analyses. 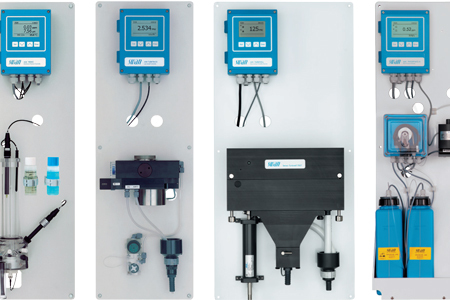 Complete monitoring system for the automatic, continuous measurement of the conductivity before (specific / total conductivity) and after a cation exchanger (acid / cation conductivity). Portable inspection equipment for quality assurance of conductivity monitors. Portable inspection equipment for quality assurance of trace oxygen monitors. Portable inspection equipment for quality assurance of pH monitors. 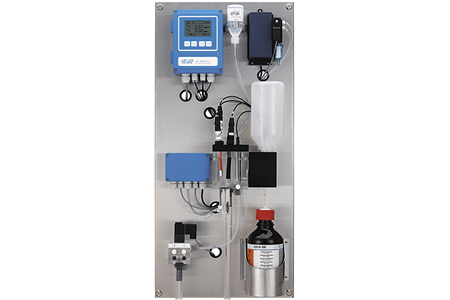 Monitor for continuous measurement of pH or redox (ORP) in potable water and effluents. 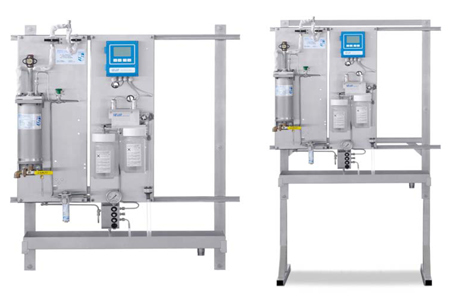 Analyzer for the continuous determination of dissolved sodium in the ppb-range for steam, condensate and high purity water. For samples with low pH (e.g. sampling after cation exchangers). 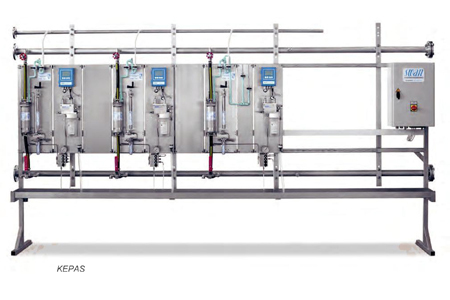 Analyzer for the continuous determination of dissolved sodium in the ppb-range for steam, condensate and high purity water for samples with pH ≥ 7. 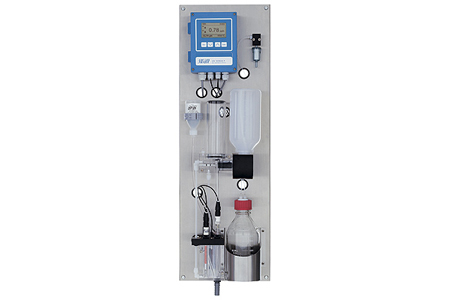 Complete monitoring system for the automatic, continuous measurement of total organic carbon (TOC) in pure and high purity water. Electronic transmitter & controller for the measurement of specific conductivity, concentration, salinity and TDS. Monitor for continuous measurement of dissolved hydrogen in water steam cycles. Portable inspection equipment for trace measurement of dissolved hydrogen in water steam cycle. 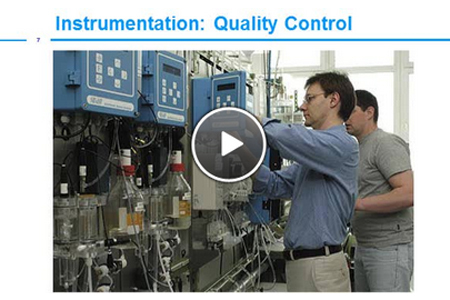 Complete system for the automatic, continuous multiplexing of up to six sample streams to 1 process analyzer. Maintaining generator temperature is critical to efficient power plant operation. Utility generators typically employ hydrogen to cool the generator, however many also use high purity water in addition to hydrogen. The Swan AMI Hydrogen analyzer provides a reliable monitor for measuring dissolved hydrogen in stator cooling water. The monitor comes complete with transmitter, flow cell, and sensor all pre-mounted on a durable stainless-steel panel for quick installation and startup. Monitoring corrosion product transport in steam and water cycles is essential to minimize corrosion. Iron corrosion products exist predominately as undissolved suspended particles therefore to measure the total iron a digestion must be performed. Currently there are no total iron analyzers available to continuously monitor total iron therefore surrogate methods such as nephelometry as well as particle monitors have been employed. This paper describes the results of research employing nephelometry to monitor corrosion product transport. The conductivity measurement after a cation exchanger in power plants with steam turbines was introduced soon after 1950 by Larson and Lane . As a result of the simple measuring principle, the sensitivity and its high reliability, the conductivity measurement after cation exchanger has become the most commonly used analytical method in power plants with steam generators. Continuous analyzers are an integral part of the process to maintain quality, ensure compliance, and protect public health. Therefore it is imperative to ensure the analyzers are functioning properly and provide accurate and reliable data. This requires validation of the data provided by the analyzer on a routine basis. In addition some continuous analyzers incorporate internal data validation capabilities to inform the end user the reliability of the data provided by the analyzer. This paper discusses integrated data validation and how they may be integrated into SCADA systems. Today’s demands require generating units to rapidly respond to changing generation requirements and supply fluctuations from renewables such as solar and wind power. OEM’s have designed combined cycle units that can reach full load in less than 30 minutes without sacrificing efficiency or parts life. To achieve this, the OEM’s have incorporated degassed conductivity as their steam purity conductivity requirement. This report gives a brief outline of the general measuring methods. Further, it illustrates the possibilities and limitations of the direct UV oxidation, as well as which technical modifications were made to the monitoring instrument, AMI Line TOC, to improve the performance of the UV reactor and, therefore, the precision of the instrument. When you’re running a steam-generation power plant, the more information you can get about the conductivity process, the better. 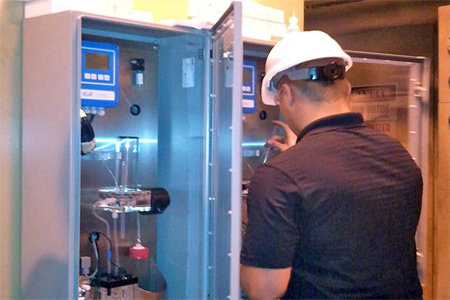 Details about the startup, condensate, and feedwater systems can help with efficiency and to avoid costly mistakes. In this field, those statistics aren’t just a luxury, they are required reading. FAC is a corrosion mechanism that increases operating and maintenance costs, impacts unit reliability, and most importantly can be a safety concern. Cycle chemistry must be customized for each unit to address its unique design and operating issues. This requires representative sampling, accurate and reliable continuous monitoring, and meticulous control of the chemistry to minimize and hopefully mitigate FAC. 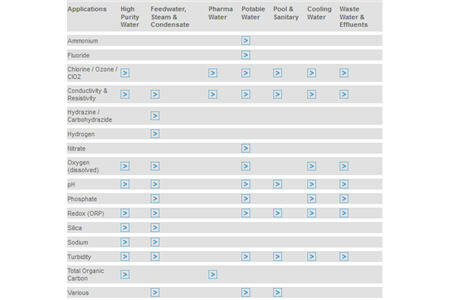 Many factors in today’s environment impact unit operations and chemistry control. Solution pH is the most important and most difficult parameter measured in the steam/water cycle. There two methods of monitoring pH in this environment, direct measure and calculated pH by differential conductivity.